Bihar School Examination Board has been released the Second Cut off list for the admission in the Degree Course College. From this Academic year, Board has been going to implement the new rule for the admission in the Ba/Bcom and BSC. 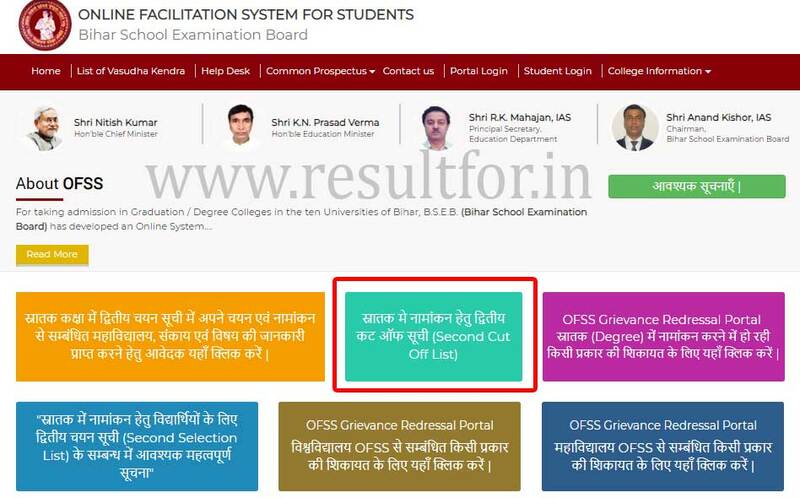 The first student has to apply for admission through the OFSS at www.ofssbihar.in later on OFSS has been released the first cut off and first cut off the list for admission in the colleges. After the students have taken admission through it by download the BSEB OFSS Intimation Letter. 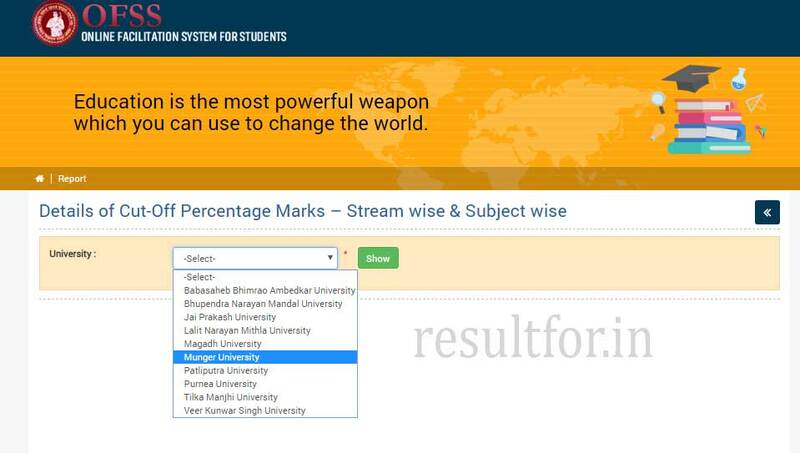 Some of the students have do not get their desired college or course and some of the students have not get the name in the merit list for the admission. Below we have mentioned the university wise all college cut off course wise for the admission. Students on the basis of the cutoff can analysis about the course wise admission. Anyway without wasting time going to update about the how to download or check Bihar all university college wise cut off. All college and course wise cut off can be checked. Students who have any queries then you can visit the official website OFSS Bihar Still have any queries then you can ask through the comment.